Do you like peanut butter? White chocolate? Then, I have the dessert for you! 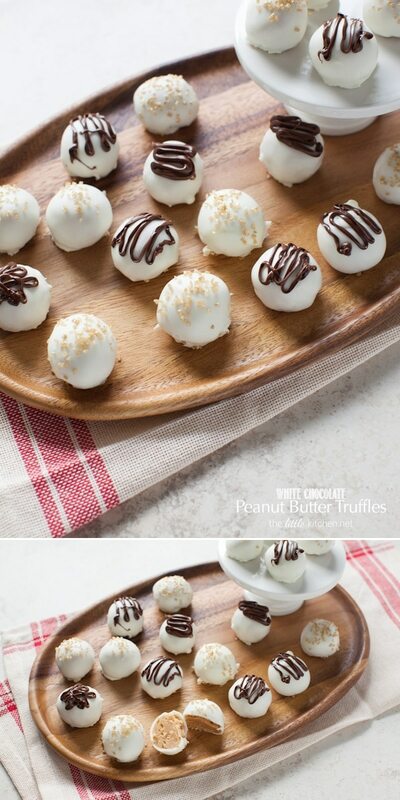 It’s another post from me for the BHG Delish Dish Food Blog and I’m sharing white chocolate peanut butter truffles!! The original recipe called for dark or bittersweet chocolate and I changed them up…and seriously I’m completely and utterly obsessed with gold sugar. It’s going on EVERYTHING this holiday season. Watch out. PS I posted a video of Charley in the underwater treadmill yesterday! Over the last couple of days, he’s showing huge improvement which makes us so glad. With rehab, exercises and lots of work, it’s been a little bit stressful but of course worth it! 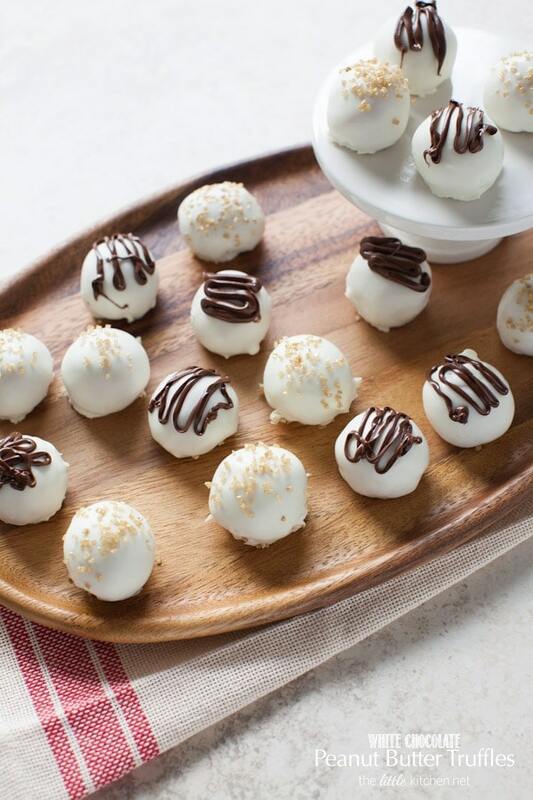 Excuse me while I go nosh on some more truffles!! 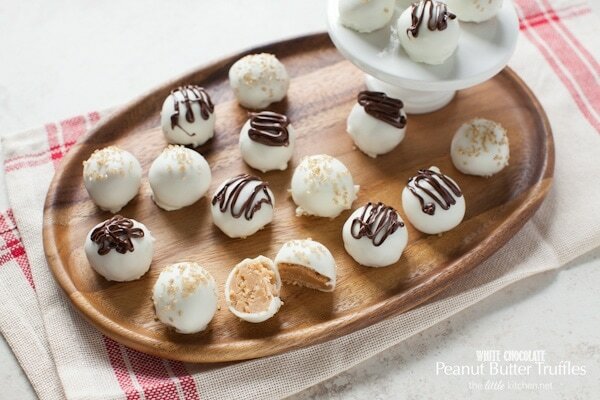 For the full instructions, see Peanut Butter Truffles. 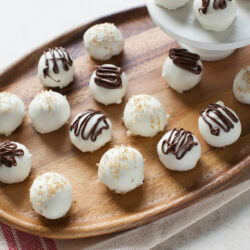 Disclosure: I’m a paid contributor to the Better Homes & Garden food blog! All opinions are my own.